Tastefully restored Queenslander combining traditional architectural elements with “todays” must haves…The cool cream and white colour palette add that touch of class. Polished floors, T&G walls, fretwork, a/c, modern kitchen. 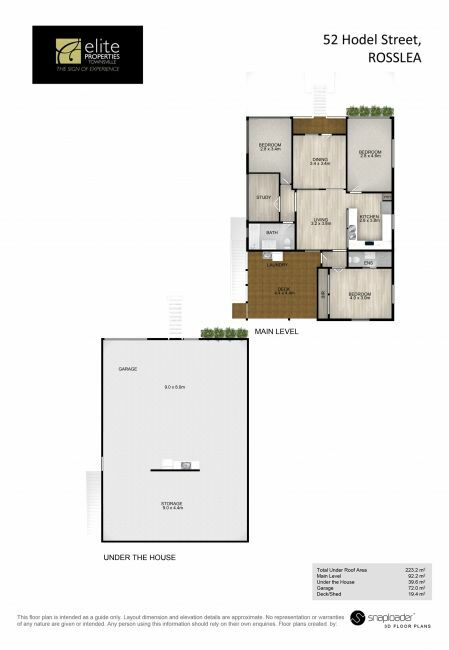 3 large bedrooms plus a built in study, master has plenty of cupboards and an ensuite. Fully security screened. Large entertaining deck, remote garage. Side access with a yard big enough for a “man shed” pool it’s your call… Bonus….a Bore, year round green grass… I like that! 1a. What influenced you to buy the property? Queenslander charm, central location, ticked all the boxes for us. Cool and breezy home, central location, bore water - green lawns, family friendly - large backyard with sandpit and cubby house, securely fully fenced. Shady mango tree, deck with lovely view of Mt. Stuart. Perfect balance of Queenslander charm with modern interior.